Ys VI still has its original charm and classic elements to make it a timeless game. It's a simple and not overly complicated action RPG which makes it an easy game to experience and love. While its simplicity and common RPG elements does not make it stand out excessively from its competitors, it stays in its safe zone and continues its formula. If you played this back in the PS2 days, know that it is worth picking up again thanks to all the changes XSeed and Nihon Falcom have given this update. If you're fresh on the Ys series, then give this one a go, you won't be disappointed. Ys VI is a simple, energetic, and unrelenting action-RPG that keeps you hacking and slashing the whole way through. It is definitely worth a try even for those like me who know nothing of the series, and I'd go so far as to say that it would even bring in new fans to the franchise. While the original PC release of Napishtim had been brought to Japan nearly a decade ago, fans in the West had to deal with either the PlayStation 2 or PSP versions of the game. Thanks to XSEED's efforts in flushing out their Steam library, a much wider audience of gamers are now able to try out the sixth entry into the series for themselves. Among contemporary Ys releases and remakes—Seven, The Oath in Felghana, and Memories of Celceta—The Ark of Napishtim is more reliant on support provided by its adopted hardware. Unfortunately its tangled journey to the personal computer cost as many features as it gained, leaving The Ark of Napishtim as little more than a curious architect of the Ys games that followed. You could do better within the Ys series, but it's still near the top of the pack as far as retro-styled action RPGs go. Overall, regardless of whether this is your latest Ys adventure, or even your first one, you could certainly do worse than picking up Ys VI. For fans, it'll probably seem a little less polished than later titles, but for both newcomers and veterans alike, there's a lot to love here. 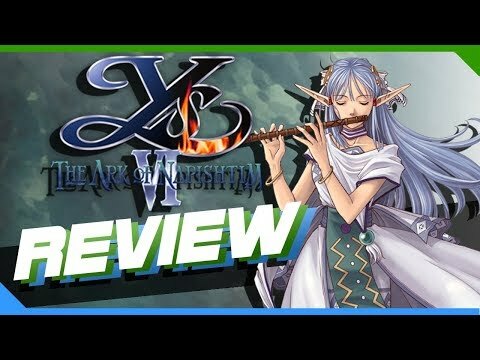 As a starting point for getting into the series, Ys VI makes sense, and for a returning player it's a no-brainer. In the end, the real question is not 'Is Ys VI a quality title?' but 'Is it worth its asking price?' Solid action, well-utilised visuals, and a great soundtrack make The Ark of Napishtim a more than solid title on the whole for someone who is walking in knowing what to expect it is. For those looking for a longer adventure, despite its charm, they would be better off looking elsewhere for their jollies. The Ark of Napishtim is still great, in short. Long time fans of the series will appreciate the visual upgrade and first time entrants to this chapter should find themselves at home, especially if they have appreciated some of the other entries in recent years.